Edinburgh’s architecture and geography has made the Scottish capital an attractive shooting destination for filmmakers. Many movies have been filmed in and around our Unique Venues of Edinburgh, and here are just some of them. Marvel Studio’s blockbuster Avengers: Infinity War was filmed in multiple locations throughout Edinburgh, including Cockburn Street, Waverley Station and St Giles’ Cathedral. A fight scene was shot on the Royal Mile, close to our venues: The Real Mary King’s Close; The Signet Library; and The Hub. Trainspotting follows heroin addict Mark Renton (Ewan McGregor) and his friends, set in and around Edinburgh. 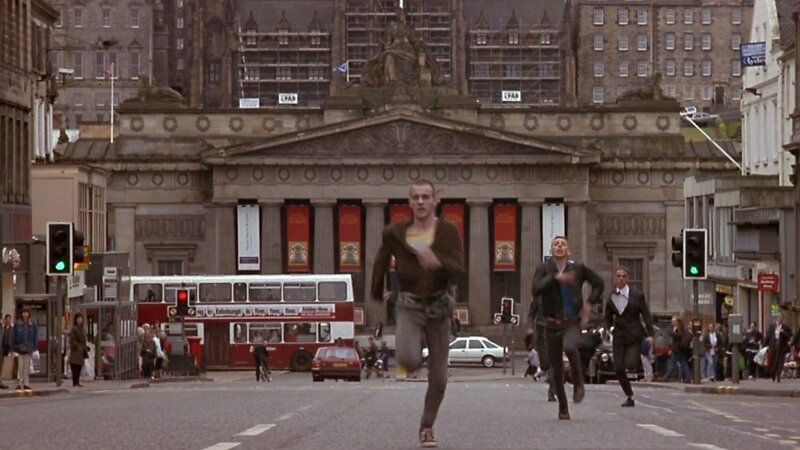 Famous for its Princes Street chase scene, director Danny Boyle features a shot of UVE member, Edinburgh Castle, later in the film. 2017’s T2 features Edinburgh Airport, Parliament Square, the Forth Road Bridge and the Scottish Parliament. Chariots of Fire includes a training scene in Inverleith Park, located just behind our Royal Botanic Garden venue. The British classic follows an English Jew and devout Scottish Christian, competing in the 1924 Olympics. Starring Anne Hathaway, One Day is a British-American romantic drama. Parts set and filmed in Edinburgh include Parliament Square, Calton Hill, Arthur’s Seat and Victoria Street, near The Hub. Cloud Atlas was filmed near our Scotch Whisky Experience venue, on Victoria Street. The movie, which stars Tom Hanks, Halle Berry and Hugh Grant, explores how the actions of individual lives impact one another in the past, present and future. Other locations include the Scott Monument and City Chambers. Comedy-drama Filth features James McAvoy as a scheming policeman. Filth opens at the entrance to Edinburgh Castle, and also features scenes on Victoria Street and The Grassmarket. Oscar-nominated Sylvain Chomet’s 2010 animated film The Illusionist depicts 1950s Edinburgh, with views of Edinburgh Castle and Arthur’s Seat. The director set up an animation studio in Edinburgh, after attending the International Film Festival.